This is a Wire site. Order your copy of Nocturnal Koreans now! Click covers/'buy now' links to buy each item; for a release's discography page, click the 'details' link. This is the official Wire site. 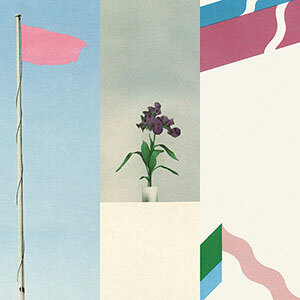 From 1977's Pink Flag to the band's most recent albums, Silver/Lead, Nocturnal Koreans and Wire, legendary art-combo Wire have created a unique body of work. Subverting genres, Colin Newman, Graham Lewis, Robert Grey and Matthew Simms continue to work on new material, regularly confounding expectations. On this site, find out about Wire news and upcoming Wire gigs. Also view Wire albums/lyrics, contact Wire, join the Wire forum, and more. Wire's seminal albums are getting the definitive re-release treatment, in the same format as Silver/Lead and Change Becomes Us. Each album is presented as an 80-page hardback book, which includes a special introduction by Jon Savage, a lengthy text from Graham Duff that incldues fresh interviews with every band member, full lyrics, and never-before-seen photos of the band by Annette Green. Find out more about the reissues, or jump right to our shop to pre-order.